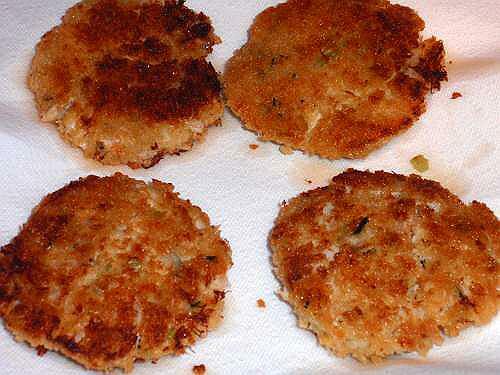 I've included these step by step pictures to show you how to make crab cakes that even the pickiest eaters will love! Crunchy on the outside, tender and flaky on the inside. 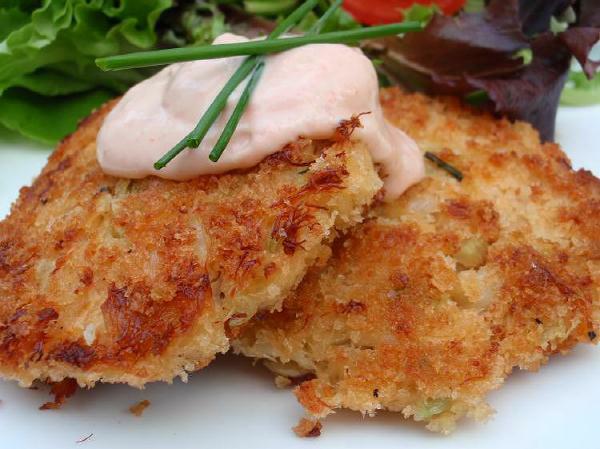 This recipe for crab cakes is everything you could expect in a crab cake recipe and more! 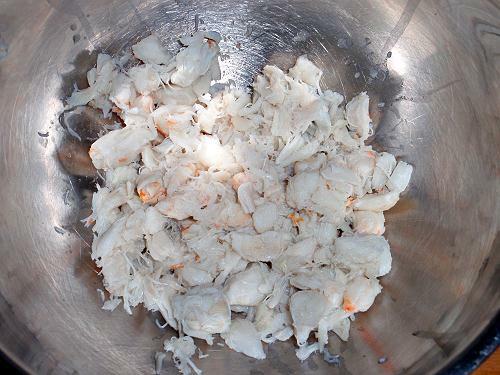 1 pound of lump white crab meat(2 cans, 13 ounces each, will yield 16 ounce of drained crab meat), drained and picked free of shells. 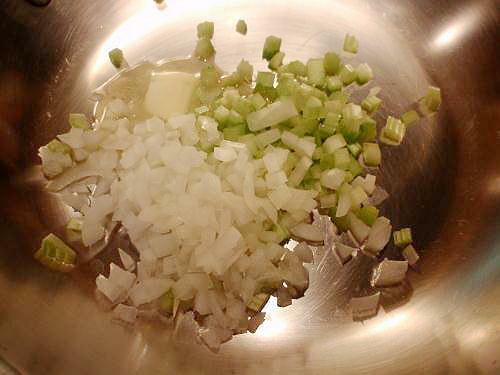 Put the butter, celery and onions in a medium saute pan. Saute just until soft, about 5 minutes. Place the crab meat in a medium bowl. Make sure that you have picked through it and there are no shells. No one wants to bite into a piece of shell. 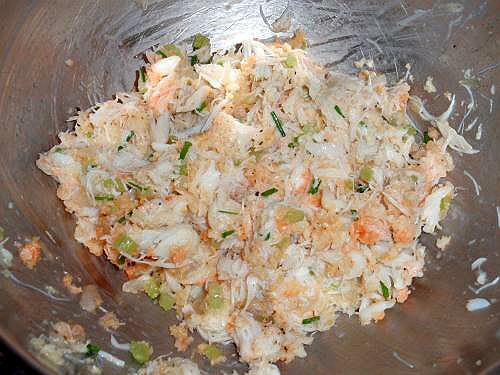 To the crab meat, add the sauteed celery and onions, 1 cup of the bread crumbs, the eggs, Old Bay seasoning, salt, black pepper, garlic powder, chives, 2 Tablespoons of mayonnaise, the Dijon mustard and hot sauce. 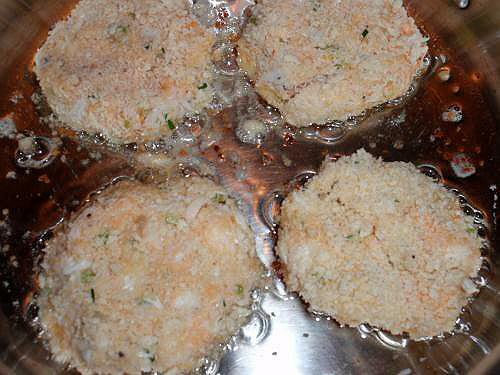 Carefully mix the ingredients together without braking up the crab meat any more than necessary. 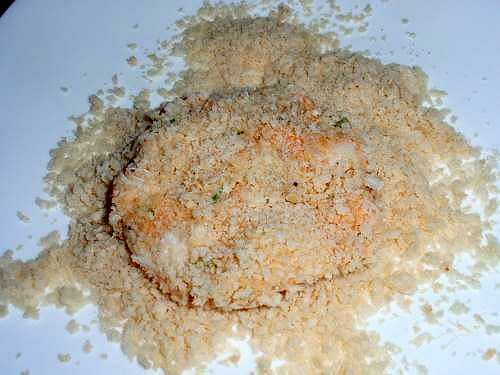 Place the other cup of Panko bread crumbs on a plate. 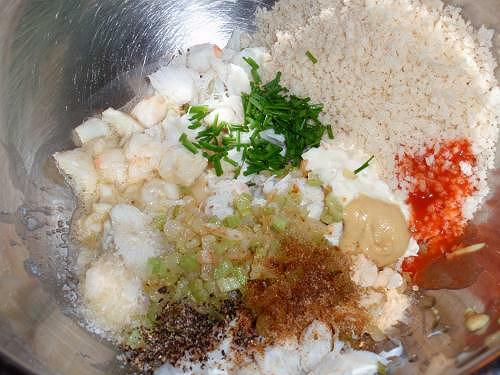 Divide the crab meat mixture into 8 equal parts. Form each part into a patty and press it together so that it is a fairly firm patty. Carefully place in the bread crumbs. 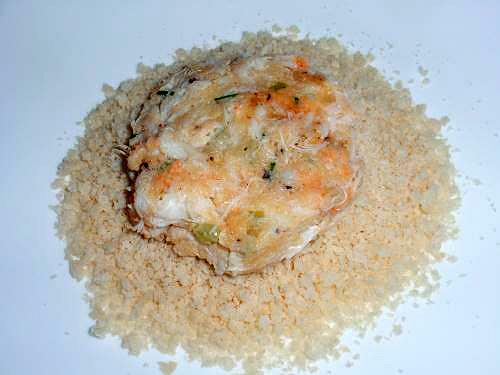 Press the crab cake into the bread crumbs. Carefully turn the crab cake over and press the breading into the other side. You'll need to be really careful with the crab cake so that it doesn't fall apart. Heat a large pan over medium to medium low heat. Add 1/4 cup of the oil. Place 4 of the crab cakes in the pan and fry until golden brown. 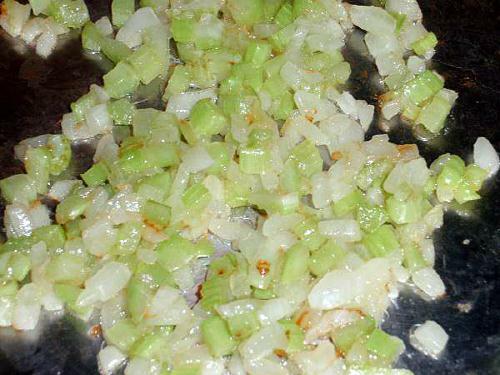 Carefully flip and continue frying on the other side until golden brown. Add the other 1/4 cup of oil to the pan and the other 4 crab cakes. Repeat process of browning on both sides and drain on paper towels. **To make the dipping sauce, all you need to do is mix together the mayonnaise and seafood cocktail sauce. 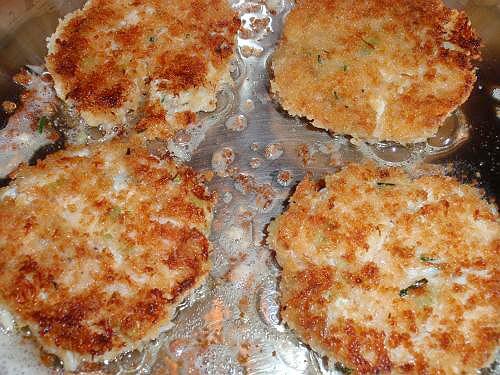 Now that you have learned how to make crab cakes, all that is left is to enjoy!